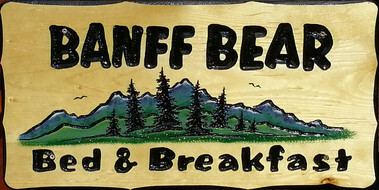 The Banff Bear B&B suite has two bedrooms (The Cascade and Rundle rooms), a kitchenette, dining area and sitting area. 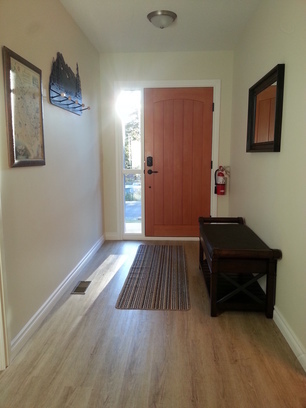 Access to the suite is through its own front door. 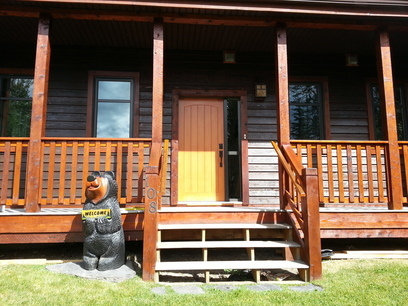 Guests are greeted at the front door by our 4 foot welcome bear. 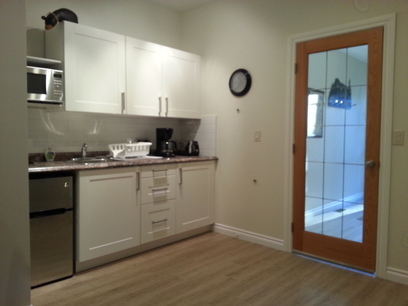 The kitchenette contains a microwave, bar fridge / freezer, eating utensils, toaster, coffee maker and kettle with complimentary tea and coffee. 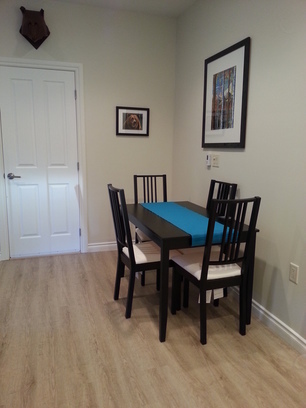 There is a dining area with dining table and four chairs. 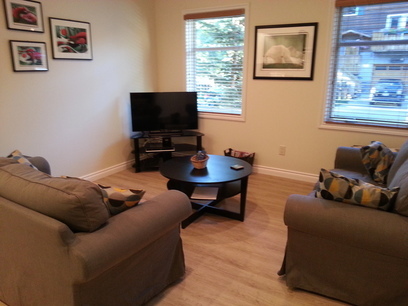 The living area has seating for four with a 40" TV and basic satelleite and Netflix available. 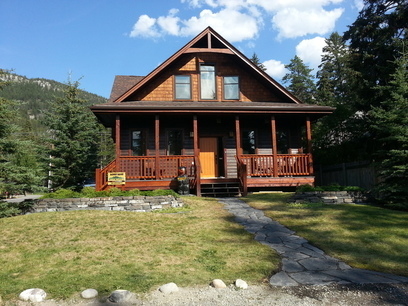 The Cascade room is on the north east corner of the house and has views of both Mount Norquay and Cascade Mountain. 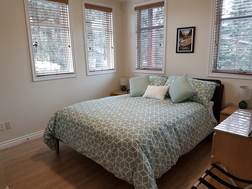 It has the benefit of a queen size bed and an ensuite bathroom with shower. 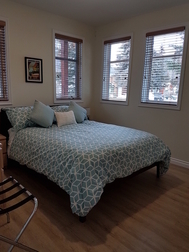 The Rundle room is on the south east corner of the house and has views of both Mount Norquay and Sulphur Mountain. 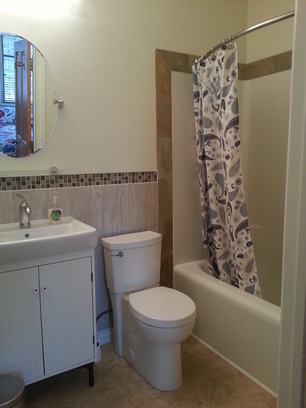 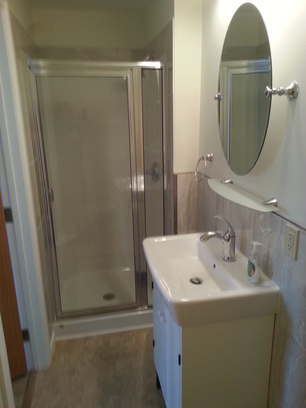 It has the benefit of a queen size bed and an ensuite bathroom with tub and fixed shower. 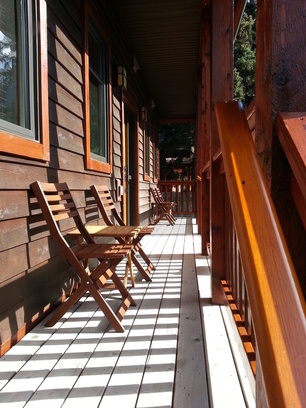 There is a front deck for the exclusive use of guests.